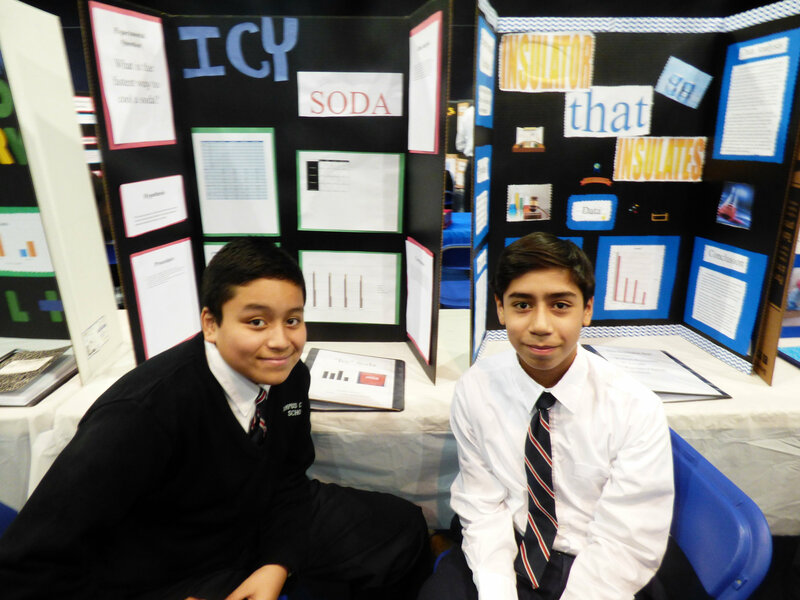 St. Anthony of Padua School’s seventh and eighth graders participate in the Middle School Science Fair every year. This is a required activity for which the students receive a grade. The science teacher works with and guides the students to develop a hypothesis, design and execute an experiment and extrapolate a conclusion. The process begins in October with the students selecting an experiment that is approved by the middle school science teacher. The student’s science fair grade is equivalent to two test grades, and also includes an English grade for the outline they will compose on their science project. Ten students will be chosen after the science fair, held in spring 2019, to participate in the Diocesan Science Fair. Our students always do very well in this competition against other Diocesan elementary schools. All seventh and eighth-grade students are required to participate. The purpose of the science fair is for students to experience the scientific method and explore subjects of interest. The science fair project provides the opportunity to practice project management skills that students will use throughout their lifetime. This project will require a large amount of time and in order to be successful should be planned for in manageable parts. There are defined due dates to help students manage the project. Requirements to participate are that students must be in Grades 7-8. Required equipment or supplies: Students will need a composition book to use as a logbook for only science fair work, more details about using the logbook are included in the instructions document below. Students will also need to purchase any necessary materials to conduct the research data and build the display summarizing the process and data. In your logbook, specifically, describe all materials and equipment. (Example: brand, lot number, expiration date, etc.) When you purchase supplies, buy more than enough to avoid switching batch or lot numbers.